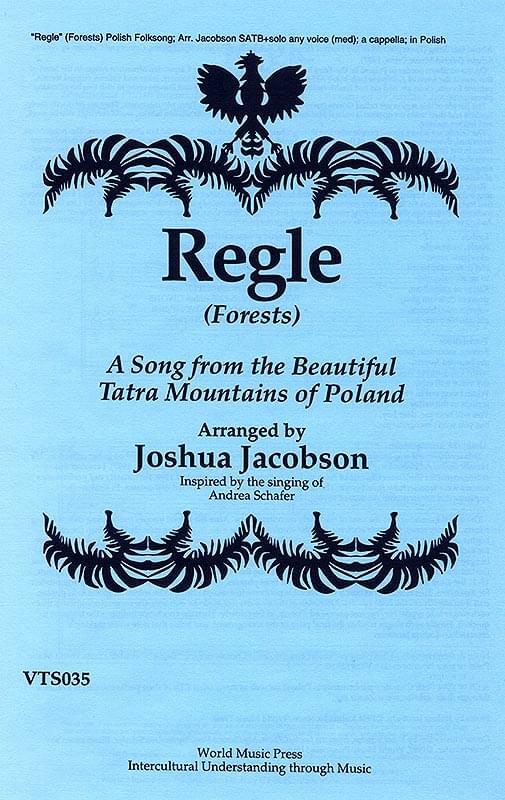 From the beautiful Tatra Mountains of Poland, this is a song that was arranged by Joshua Jacobson and inspired by the singing of Andrea Schafer. This traditional Polish song celebrates the beauty of the Tatra forests. The arrangement is very unusual and effective, with a shimmering sound much like mountain echoes. Sung by the Zamir Chorale on their tour of Poland in 2000, this piece brought the audiences to demand an encore performance. Yours will too! SATB; a cappella; Polish. The demo cassette available for this tune simply contains a sample performance with a pronunciation guide. It does not include an accompaniment track.